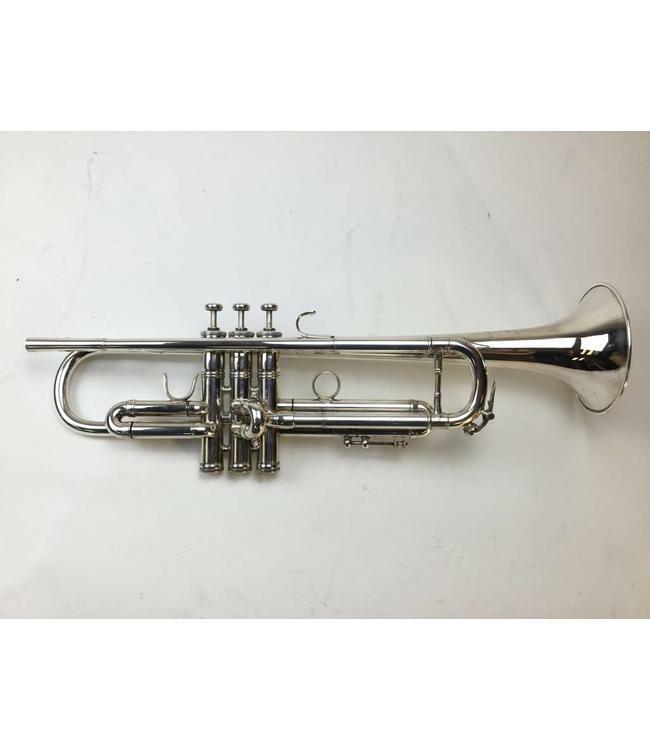 Used LA Benge 3X+ medium large plus bore Bb trumpet in silver plate. This instrument is in good condition with surface scratching and evidence of have a valve refit. Includes original case.